In 2013, the Alter-Ciné Foundation received 70 documentary submissions from 37 countries. Michelle Serieux, recipient of the $10,000 Alter-Ciné Foundation grant. 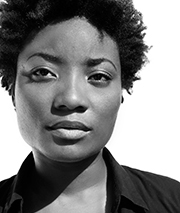 Michelle Serieux, a 32 year-old Jamaican filmmaker, received the $10,000 award for her project « Swimming on Dry Land ». « Swimming on Dry Land » poignantly traces the lives of four young gay Jamaicans, at a time when the island is debating homosexuality publicly in politics, the press and in churches. The film’s title makes reference to the concept of ‘fish', a term used in Jamaica to refer to homosexuals, but also references their marginalization, coupled with an equally strong determination by some of the characters to live and love in Jamaica, despite the odds. « Swimming on Dry Land » provides access into the layers of Jamaican society’s issues with homophobia and into lives of complex characters with widely differing experiences being gay and Jamaican. Ultimately, it makes us question the justice of keeping laws that discriminate against people because of their sexuality, and amplifies the call for human rights for gay people around the world. 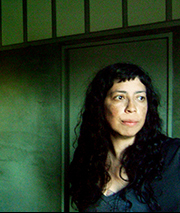 Tatiana Huezo, recipient of a $5,000 Alter-Ciné Foundation grant. Tatiana Huezo, , a 41 year-old filmmaker born in El Salvador and now from Mexico, received a $5,000 award for her project « Tempestad ». One day, Mela was arrested at her workplace. With no proof whatsoever, she was accused of “ human trafficking and organized crime “ and was detained in a maximum security prison in northern Mexico, more than 2000 km from her home. It was impossible for her to obliterate her memories of the violence to which she was subjected during her 9-month incarceration. Travelling by bus from the north to the south of Mexico, we follow the route Mela took home after her release from jail. During the trip, she narrates her experience. The film paints an intimate portrait of Mela, and the brutality and impunity she experienced in prison. The film reveals the paralysing fear that prevented her from harbouring any hope for the future, either for her or her child, fear which constrained her ability to dream and to make those dreams reality. Yves Montand Niyongabo, recipient of a $5,000 Alter-Ciné Foundation grant. 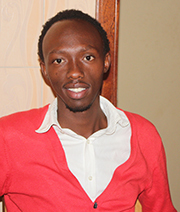 Yves Montand Niyongabo, a 25 year-old filmmaker from Rwanda, received a $5,000 award for his project « Giti, Paradise in Hell ». GITI is a commune in Northern Rwanda, a country in the heart of Africa. While this nation has a rich and varied history, it is best known for the 1994 genocide perpetrated against the Tutsis: a million people were assassinated in the space of just 100 days. The country was transformed into bloodbath with the exception of this particular commune. The film relates the remarkable story of a community that chose a different course of action by opposing the genocide. Its citizens opted for a human solution. The filmmaker introduces us to everyday people who managed to survive this horrific period of genocide.